During each step of the way, each sanitary process piping gasket, "O"-ring, extrusion, bonded screen, orifice plate, body gasket and custom molded part is carefully produced with state-of-the-art molds on compression and/or injection molding equipment. All parts are then finished by cryogenics and inspected. This mean you can count on us with every order to be satisfactory, every time. These components are used in processing pipeline systems for the food, dairy, beverage, pharmaceutical and bio-tech industries. Our products are manufactured from EPDM, Viton®, Buna-N, and Silicone. Our components are used in processing pipeline systems for the food, dairy, beverage, pharmaceutical and bio tech industries. BEECO'scomponents are used in processing pipeline systems for the food, dairy, beverage, pharmaceutical and bio tech industries. The products are manufactured from EPDM, Viton®, and Buna-N. Our compounds are FDA and USP Class VI compliant, and some compound formulations have also been certified and accepted by the USDA. We currently have eleven compounds that meet the criteria of Class VI - four Silicone, three Viton®, and two EPDM compounds. 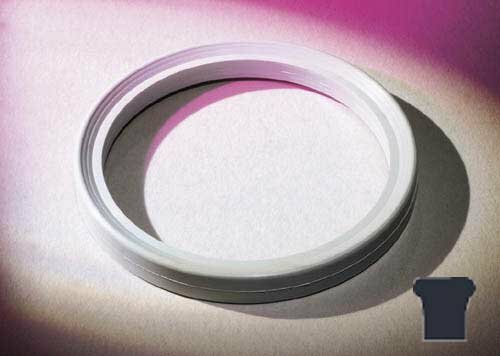 We also produce products made with Teflon® fluoropolymer and our Silverback (50/50 PTFE and stainless steel) compounds that are also Class VI compliant. We have available the ISO #2852 and DIN #32676 hygienic standard flanged clamp gaskets in USP Class VI and FDA compliant compounds EPDM, Viton® and Silicone. Our components are used in processing pipeline systems for the food, dairy, beverage, pharmaceutical and bio tech industries. Pipe hanger sleeves are made of a high grade polypropylene and the pipe hanger inserts are made from FDA compliant EPDM. BEECO's products are manufactured from EPDM, Viton®, Buna-N, and Silicone, as well as gaskets made with Teflon® fluoropolymer. All compounds are FDA compliant. Our components are used in processing pipeline systems for the food, dairy, beverage, pharmaceutical and bio-tech industries. Components are used in processing pipeline systems for the food, dairy, beverage, pharmaceutical and bio-tech industries. The products are manufactured from FDA compliant EPDM, Viton®, Buna-N, and Silicone. BEECO's components are used in processing pipeline systems for the food, dairy, beverage, pharmaceutical and bio tech industries. The products are manufactured from EPDM, Viton®, Buna-N, and Silicone. All compounds are FDA and USP Class VI compliant. Some compound formulations have also been certified and accepted by the USDA.